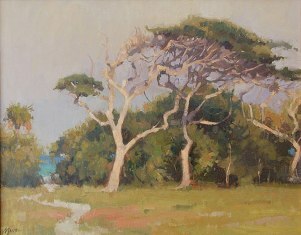 This year, we'll be hosting two great plein air workshops in conjunction with the Crescent Beach Paint Out. All artists are invited to take these classes - you don't have to be in the Paint Out to participate. Artists who sign up for a workshop are automatically registered for our "Artist Retreat" package and able to attend all Artist Retreat parties and functions at no additional charge. So take a workshop, then spend the rest of your week painting and enjoying the company of your fellow artists. "Perfecting Your Voice: An Advanced Painting Workshop"
This workshop is designed to create a relaxed, yet intense working environment. Romel will demonstrate daily on his approach to painting the figure from life, using his direct fluid painting style with emphasis on the use of improving color, drawing skills, value relationships, understanding edges and capturing the "feeling" of light. Learn to use the elements that make a painting work and exciting: creative use of color and edges, visual movement, paint application, distribution of abstract shapes and strong design. 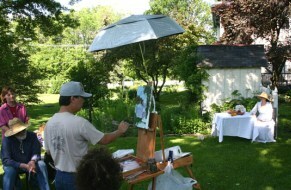 Students will also learn how to use Plein Air work to improve working from photographs later in the studio. Romel provides easy-going individual instruction as well as critique and group discussion. Be prepared to work hard, make new friends and best of all, have fun. Romel de la Torre is a graduate from the respected American Academy of Art in Chicago and currently teaches at the Palette & Chisel Academy of Fine Arts, where he studied under Richard Schmid. 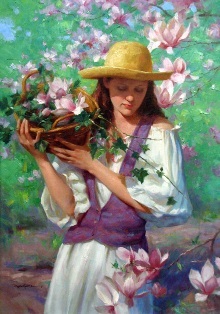 He is showing in several galleries throughout the country and has won numerous prestigious honors and awards. Artist, Larry Moore, recent winner of the Artist Choice Award at the Islanders Paint Out in Maui and Collectors Choice Award at the Laguna Invitational, will be leading this 3-day class. The workshop is designed to help artists find and perfect their own voice. The fundamentals will be covered, of course, but painting is more than fundamentals. It's the individual voice of the artist that separates him/her from the rest. 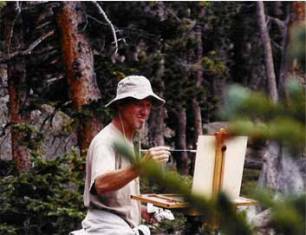 The workshop will focus on color, shape, edge, brush work, style, concept, and becoming your own best critic for both painting en plein air and in the studio. Larry will utilize his 15 years as an instructor, 30 years experience as an illustrator and graphic designer, and over 30 years experience as a fine artist to educate and inform. Come with an open mind and a sense of humor.